Request an application through the mail (USPS). How Do I Know I’m Registered? Once your local county clerk has processed your Voter Registration Application, he/she will send you a personalized voter registration card. This could take up to several weeks. Never assume you are registered to vote until you have received your voter registration card from the county clerk. According to Arkansas law, voters are now required to verify his or her voter registration. If the voter is unable to verify their registration, they have the opportunity to vote a provisional ballot. Under this circumstance, the voter has until 12:00 noon on the first Monday following the election to provide proper identification. (d) If displaying an expiration date, is not expired or expired no more than four (4) years before the date of the election in which the voter seeks to vote. 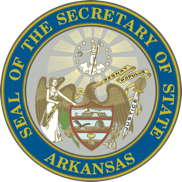 Documents and identification cards that will be accepted as verification of voter registration include without limitation: A driver’s license; A photo identification card; A concealed handgun carry license; A United States passport; An employee badge or identification document issued by an accredited postsecondary education institution in the State of Arkansas; A United States military identification document; A public assistance identification card if the card shows a photograph of the person to whom the document or identification card was issued; A voter verification card as provided under Ark. Code § 7-5-324. (b) The voter returns to the county board of election commissioners or the county clerk by 12:00 noon on the Monday following the election and presents a document or identification card meeting the requirements described above, and the county board of election commissioners does not determine that the provisional ballot is invalid and should not be counted based on other grounds. If you have moved from one county to another within Arkansas, you must update this information with the county clerk no later than 4 days prior to Election Day via a Voter Registration Application. For more information, see the Arkansas Secretary of State’s Military Voting information page.